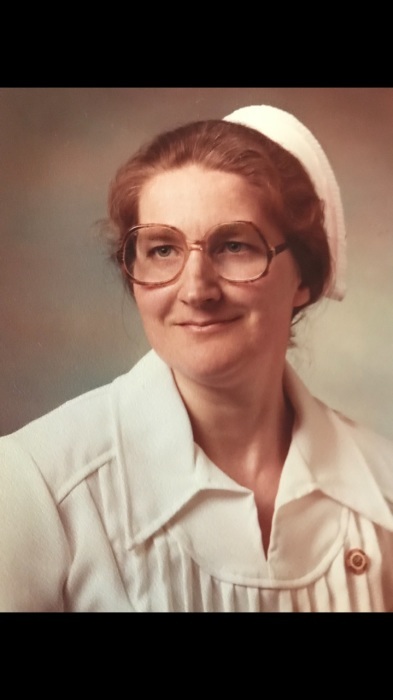 Katie L. Phillips, age 79, of Millersburg, Ohio passed away Thursday August 16, 2018 at LifeCare Hospice, Wooster, Ohio with her daughter by her side. Funeral services will be 11 a.m. Monday at Pleasant View Mennonite Church with Pastor Walt Morton officiating. Burial will take place at the Church Cemetery. Friends may call from 3 to 6 p.m. Sunday at Alexander Funeral Home, Millersburg, Ohio and one hour prior to the services on Monday, at the church. Those wishing to share a memory or make online condolences may do so by www.alexanderfhinc.com. Family suggests Memorial contributions be made to LifeCare Hospice, 1900 Akron Road, Millersburg, Ohio 44691. Katie was born June 9, 1939, in Holmes County Ohio and was the daughter of Levi L. and Susan (Raber) Schlabach. She married Paul R. Phillips and he preceded her in death on November 9, 2015. Katie retired from Castle nursing home after working 27 years. She was a life member of the Pleasant View Mennonite Church. Katie was a faithful volunteer for Save-N-Serve. She enjoyed puzzle books, loved game shows and visiting loved ones. She is survived by a son, Roland Philips of the home; her daughter, Karen Phillips of Indiana, formerly of Millersburg, Ohio; two grandchildren, Bronson (Alisha) Patterson of Columbus, Ohio and Katie Nicole Lyons of Indiana, formerly of Millersburg, Ohio; a great-grandson, Alister Jaxson Lyons; two brothers, Mel Schlabach of Canton, Ohio and Abe (Susie) Schlabach of Dundee, Ohio; one sister, Mary Yutzy of Walnut Creek, Ohio; and numerous nieces and nephews. She was preceded in death by her parents; husband; and siblings, Roy Schlabach, Mattie Miller, Clara Miller and Levi Schlabach Jr.